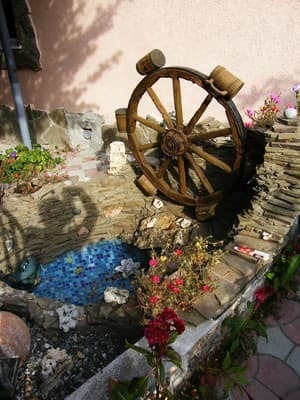 The estate "Old Amphora" is located in the private sector of the village of Chernomorskoe, a 20-minute walk from the sea. 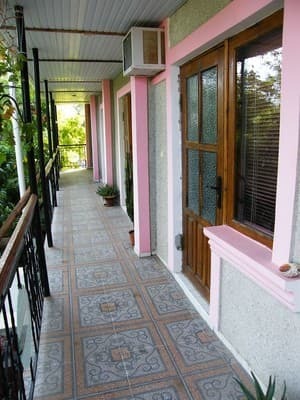 The hotel offers accommodation in cozy double rooms. 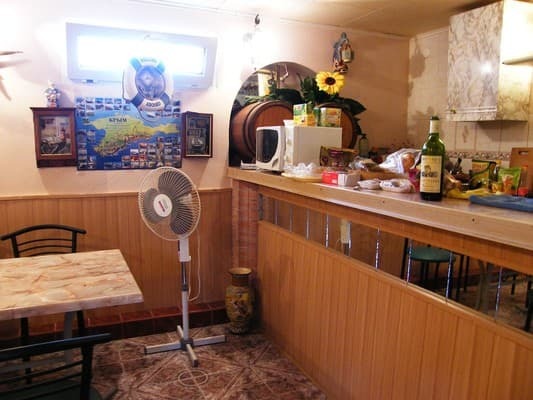 Each room has a toilet, shower, washbasin, plumbing in perfect condition. The farmstead is equipped with an autonomous pumping of water, gas stoves, which enable the constant use of cold and hot water. For those who like to plunge into the clean water, heated by the tender sun of Crimea, there is a summer shower. In the furnished territory there is a mini-kitchen for self-cooking, a barbecue, gazebos, a picturesque green courtyard, parking spaces. There is also a free car park for guests. For an additional fee, excursions to the sights of the Crimea are possible. 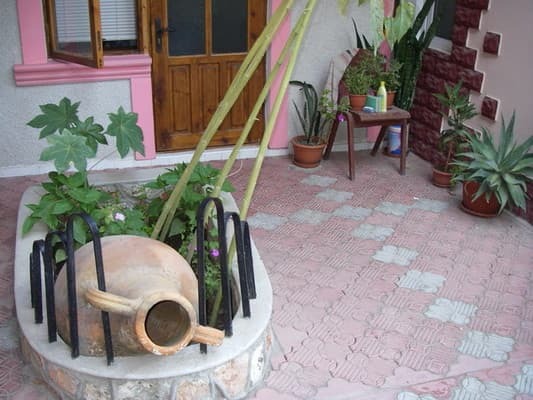 The estate "Ancient Amphora" is an ideal place for family holidays and for recreation with friends. PRICES MAY CHANGE, YOU NEED TO RECEIVE INFORMATION FROM THE OPERATOR! Description of the room: Cozy room with all the necessary attributes for a comfortable stay. The room has a double bed, a wardrobe. Some rooms have air conditioning. Children under 2 years stay free of charge without extra beds. 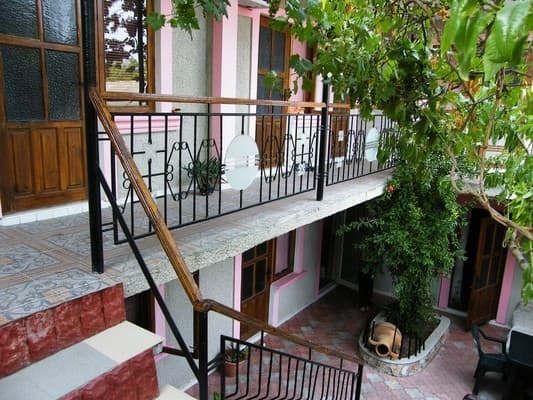 The farmstead is located in the private sector of the village of Chernomorskoe, a 20-minute walk to the sea. 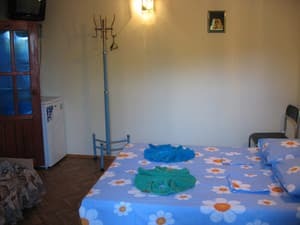 You can get to the village from the railway station in Evpatoria - 70 km, by shuttle bus, which departs straight from the station, or by taxi, there is no shortage. From Simferopol - 140 km are also followed by buses (3 hours en route, followed by Mr. Evpatoria) and you can order a taxi. In the village itself you can call a taxi anytime and anywhere.